Good afternoon. Today is the last day of Black History month and I wanted to leave you all with a tribute to the many faces that make up Black History today. You are a beautiful person who is more than their SKIN! I pray that you share this with everyone that you know. Happy Friday to you all! I had to take a day off yesterday and rest. I was getting over a “bug” that has been going around. All though I’m not a 100% physically I am 100% spiritually. So Hallelujah Praise the Lamb! Sometimes we just have to slow down and rest. I pray that everyone has a blessed Friday and weekend. Dear Lord, I appreciate YOU! Be sure to take time each day to spend time with God. He is so Awesome. Let Him know that you love and appreciate Him. He demonstrates His love for us every moment of every day. Make Him a priority! Remember God loves you! Sunshine’s Word of the Day! 5Then a voice came from the throne, saying: “Praise our God, all you his servants, you who fear him, both small and great!” 6Then I heard what sounded like a great multitude, like the roar of rushing waters and like loud peals of thunder, shouting: “Hallelujah! For our Lord God Almighty reigns. 7Let us rejoice and be glad and give him glory! For the wedding of the Lamb has come, and his bride has made herself ready. Word of the day: Hallelujah! As believers we often think that if we don’t shout like him or sing like her then we can’t offer God a high praise. Sometimes we think if we don’t pray like her or preach like him then our praise is limited. That is a lie! We all can offer God a high praise…THE HIGHEST PRAISE and that is Hallelujah! When was the last time that you act madly or foolishly over God? When was the last time you jumped up in a joyous praise for the Lord? In the midst of what you are going through say HALLELUJAH! In the midst of heartache say HALLELUJAH! In the midst of the confusion that the world makes cry out HALLELUJAH! When you offer up a great praise it’s not about you it’s about GOD! He is worthy of the highest Praise. HALLELUJAH PRAISE THE LAMB! HALLELUJAH PRAISE THE LAMB! When this life is over we will be singing His praise forever more. It’s time to start praising Him now. Don’t wait until it’s too late. HALLELUJAH PRAISE THE LAMB! Have a blessed day giving God the highest praise! Hallelujah! Ben Carson (1951 – ) a skilled neurosurgeon, led the first successful operation to separate a pair of Siamese twin infants who were joined at the back of the head in 1987. Good morning! God is good and worthy of all the praise! Take time today to give God some praise! I realize as people we are all hungry for something. Some may be hungry for companionship. Others are hungry for attention and accolades from the world. Some of you may be hungry for a financial increase, a high status amongst your peers, a better job, a bigger house, a higher position on the corporate ladder and so much more. Many of us are so hungry that we begin feeding on the wrong things. We spend so much time searching for a mate that we begin feeding on people with no standards, morals, or values. We are so starved for attention that we forsake our Christians values and begin acting like the world in order to gain approval. Instead of trusting that God will provide we begin working two and three jobs making excuses for why we can not tithe. We feed on all of the wrong things in an effort to curve our hunger. Are you hungry? We’ll feed on the faithfulness of the Lord. When the enemy shows you where you are struggling in life start chewing on the faithfulness of God. Chew on the fact that God kept your out of dangerous relationships. Chew on the fact that God kept a roof over your head. Chew on the fact that your basic and most essential needs have ALWAYS been met. Chew on the fact that God has been so faithful that He has kept you through all of your transitory states. I know you don’t have everything that you want in life, but you have everything that you need. God is faithful. I encourage you all to fed on the faithfulness of the Lord and stay the course. Do not give up. Do not settle or lower your standards, morals, and values just to get a mate, a better job, a title, a bigger home, car, more money, accolades, etc. Food for thought: When you feed on the things of the world you will remain hungry for its satisfication is temporary. Feed on the faithfulness of God and become full on His Word, goodness, promises, grace and mercy. Have a blessed day feeding on the faithfulness of God! Good morning everyone! Happy Monday to you all! I pray that everyone had a wonderful weekend. God has truly showed up in a supernatural way in my life and today I want to share how you can add His Super to your natural and experience Him in all His fullness. As believers the above scripture is on the top of our memory list. Many Christians can recite Philippians 4:13, but many fail to tap into what it really means. “I can do all things through Christ who strengthens me”, is not limited to when you are trying to conquer fears or when you are about to step out on faith for something that is bigger than you. It applies to ALL areas of your life. When we operate in the “natural” there are things that we just won’t do. For example, if someone talks bad about you it’s natural to talk bad about them. It’s not natural to embrace them and encourage them. When someone mistreat you it’s natural to mistreat them. It’s not natural to befriend them. When the doctor gives you a grim report it’s natural to be sad and scared. It’s not natural to make a joyful noise unto the Lord. When money is low and bills are high it’s natural to worry. It’s not natural to believe things will work out and continue to tithe. When we operate in the “natural” Philippians 4:13 doesn’t come into play. I want to encourage someone today, when you add Gods “Super” to your “natural” then you have to expect Supernatural blessings to come your way. You can do ALL things through Christ when you add His Super to your natural. When someone talks negatively about you or mistreat you add His Super to your natural then you are able to pray for them and even encourage them. When the doctor tells you that you are sick with a disease by adding His Super to your natural you can begin praising God for the healing. When your money is looking “funny” and you add His Super to your natural you will begin stepping out on faith and tithing and sowing seeds into others lives because you know that God is a provider. When you add Gods SUPER to your Natural your entire outlook on life changes. The manifestation of Philippians 4:13 is apparent in your life. When the natural says give up on your marriage add Gods Super. When the natural says don’t apply for another job add Gods Super. When the world says that you will never be good enough add Gods Super. I dare someone to tap into the fullness of God. There are ingredients and directions to every meal that you prepare. So here are the directions to moving forward in your spiritual life: Add Gods Super to your natural, have faith, believe, and let God have His way in your life. 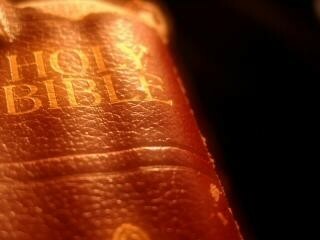 The only thing that you need to do is trust in the Lord, grow in His Word, Let Go and Let God. Food for thought: Will you add Gods Super to your Natural today or do you like operating in the natural? I apologize for the gap in Black History Facts. 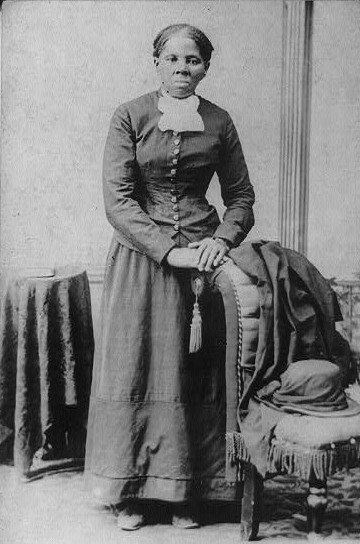 So today here are some interesting Black History facts…time to OVERLOAD! 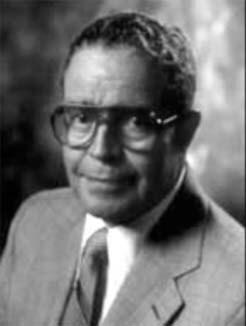 Jesse Ernest Wilkins Jr. (1923 – ), a physicist, mathematician and an engineer, earned a PhD. in mathematics at age 19 from the University of Chicago in 1942. (THIS IS PHENOMENAL): Ernest entered the University of Chicago in 1936 when only 13 years old and in so doing he became the youngest ever student at that university. 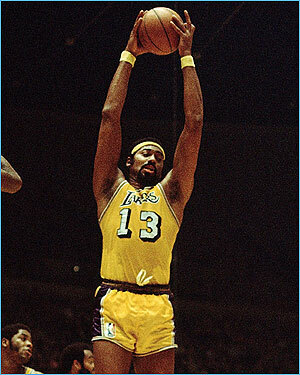 His university career was remarkable and he received much publicity when he graduated with his A.B. in mathematics from the University of Chicago in 1940 at the age of only 17 years. He then continued to study mathematics at Chicago for his Master’s Degree and in the following year he was awarded an M.S. He then continued with his doctoral studies at Chicago and submitted his dissertation Multiple Integral Problems in Parametric Form in the Calculus of Variations which led to his being awarded a Ph.D. in December 1942, only a few days after his 19th birthday. If you can…then you can…Love the one in front of you. Woooo I don’t know about you, but this has been a long and busy week. Even though it’s been busy, I bless God for carrying me safely to the end of another work week. I bless God for my job. I bless God for the ability to get to my job and perform the task on my job. Never take for granted what God has given you because if you won’t praise Him for what you have, someone else would gladly love to be in your position. Thought for the day: If you can love the One that you can’t see then you can love the one in front of you. 11 Beloved, if God so loved us, we also ought to love one another. 12 No one has seen God at any time. If we love one another, God abides in us, and His love has been perfected in us. It often amazes me when I hear believers profess to love the Lord with all of their heart and soul, but with the same breath “hate” their brother or sister in Christ. I’ve seen some of the most sanctified holy ghost filled Christians show so much passion in worship to God, but are quiet evil to people. I mean you have never even seen Jesus, but you love Him so much. If you can love the One that you can’t see then you can and should love the one in front of you. The Word says, not Nicole, but the Word says, (1 John 4:20)20 If someone says, “I love God,” and hates his brother, he is a liar; for he who does not love his brother whom he has seen, how can he love God whom he has not seen? To everyone who claims to love God and does not love his brother or sister then you are a liar. It doesn’t even make sense to love God and strive to live like Him if you refuse to love others around you. This Word is tight but its right. I’m preaching to the choir. I’ve had to check myself in this area over the years. I don’t want to be a liar. So that means I have to love everyone! I’ve learned that I don’t have to like when someone offends me or mistreat me, but I do have to love them. God does not like when we sin, but He loves us. He extends His grace and mercy on us. So if we can embrace a being that we have not seen who continues to love us through our mess. Then we have to love those people who are right in front of us even while they are in their mess. Food for thought: Love is a powerful thing and when you extend love to people it catches on like wild fire. That person who has the nasty attitude won’t have that attitude for long if you show love instead of showing that you can have a nasty attitude. There is someone in your life that you can’t stand, let alone love. If you do not want to be a liar in God’s eye, take time praying for God to help you to love everyone. Love the people in front of you. God wants to use you to minister to them, but you must first LOVE! Happy Thursday to you all! Give God some praise for carrying you through this week safely. 7 My heart is steadfast, O God, my heart is steadfast; I will sing and give praise. This week the word praise has been saturating my heart and my thoughts. Every where I turn I see a reason to praise the Lord. So today, I want to encourage someone to give God and undignified praise. The definition of dignified is having or expressing dignity; especially formality or stateliness in bearing or appearance. The definition of undignified is not having formality or stateliness in appearance, lack of dignity. The definition of praise is the offering of grateful homage in words or song, as an act of worship. Now stay with me for a minute. I would not suggest that by giving God an undignified praise that you demonstrate a lack of respect to the Lord or bring damage to your dignity. Rather I would like to say that when you give God an “Undignifed Praise” you remove all formality of what you are used to doing and seeing. Formality says wait until you get in the presence of others on Sunday morning to begin giving God a dignified praise. But when you call up the electric company to check your balance and they say “Your balance has been paid in full”…Oh you should fall into praise right there on the phone. When you are driving in your car and you miss a ten car pile up you should begin praising Him right there in your car. When you get a telephone call at your job that your loved one is no longer sick and that cancer and diabetes have left their bodies, I don’t know about you but formality has to be thrown out the window and you better stand up and give GOD the craziest praise that you have within you. Someone’s deliverance can’t wait until Sunday they might need their breakthrough today and your praise can get them there. It’s time for the children of God to stop waiting for the formal setting and begin praising GOD any and everywhere. I don’t know about you, but God has been so good to me I think I’ll give Him an undignified throw my head back and say Hallelujah on a Thursday morning at my desk! Who will join me and begin praising the LORD for WHO HE IS??!! Have a blessed day giving God and Undignified Praise!